An earthquake of magnitude 7.9 struck Nepal on April 25, resulted in more than 7,300 deaths and 14,300 injuries. It was estimated that the number of casualties would continue to rise. The earthquake also affected the Chinese region of Tibet, as well as countries such as Bangladesh and Bhutan. This earthquake caused the loss of many lives. Buildings collapsed and roads were damaged. The earthquake-affected area was in dire need of emergency supplies, and the rescue operations were experiencing difficulties. Transmac – Transportes Urbanos de Macau S.A.R.L. organised fundraising at 16 Transmac bus terminus between May 6 and 7. The event was strongly supported by all Transmac staff members. Some passengers also offered to donate. The event showed the humanitarian spirit of the all participants. When disaster struck, help came from all sides. Meanwhile, The Chairman of the Board of Directors of Transmac, Mr Liu Hei Wan, made the pledge to donate double the amount raised during the event. 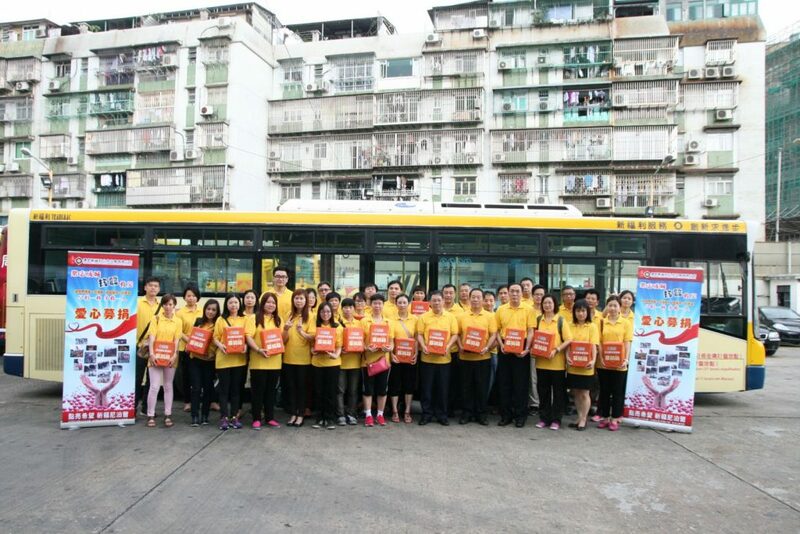 All donations were handed to the Macau Red Cross on May 8.